Upgrade of the Classic, marking Pro-Ject's 25th anniversary, with built-in speed control, record clamp, Leather It mat and Ortofon Quintet Red MC cartridge, rather than 2M Silver. Earn 1399 loyalty points when you order this item. Pro-Ject The Classic Superpack Turntable is a subtle upgrade to the already successful Classic turntable. To celebrate their 25th anniversary this limited edition Pro-Ject turntable is sure to excite vinyl lovers by including as standard additions that would normally be considered extras. Pro-Ject The Classic Superpack Turntable is based on the exceptional design of its sister model, The Classic, which is itself is based on the timeless 'frame' design used by the likes of Thorens and Linn in the mid-twentieth century. The Classic Superpack turntable does not just look great with its compact and sleek design, but also features advanced anti-resonance properties which result in a rich transparent audio reproduction. 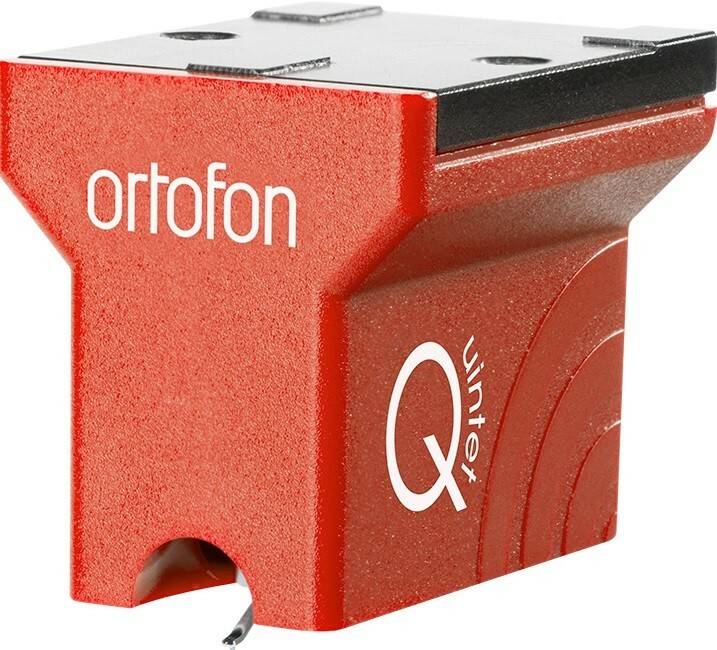 A further upgrade on The Classic turntable is the inclusion of Ortofons flagship high spec Quintet Red moving coil cartridge rather than the standard 2M Silver cartridge. A further improvement is that Pro-ject includes their Clamp it record clamp, their Leather It turntable mat. When the additions and improvements, Pro-Ject also include a built-in speed controller, a fitted dust cover and Connect-IT E RCA cables to create a turntable worthy of Pro-Ject's 25th anniversary. Pro-Ject have managed to remove the unnecessary transference of mechanical and electrical noise by utilising a superior two-plinth design that ensures that the bearing and tonearm are physically separated. By using specially selected Thermo-Plastic Elastomers (TPE) they manage to isolate the two medium-density fibre plinth sections, which means that the The Classic has admirable anti-resonance qualities, whilst also being simplistic to set up thanks to using TPE, rather than the spring-loaded designs of earlier models. Inspired by the platter design on Pro-Jects Debut, Pro-Ject have produced a superior platter layout that is constructed from a special aluminium alloy. With the addition of the internal damping with TPE damping, the main platter has been significantly updated. 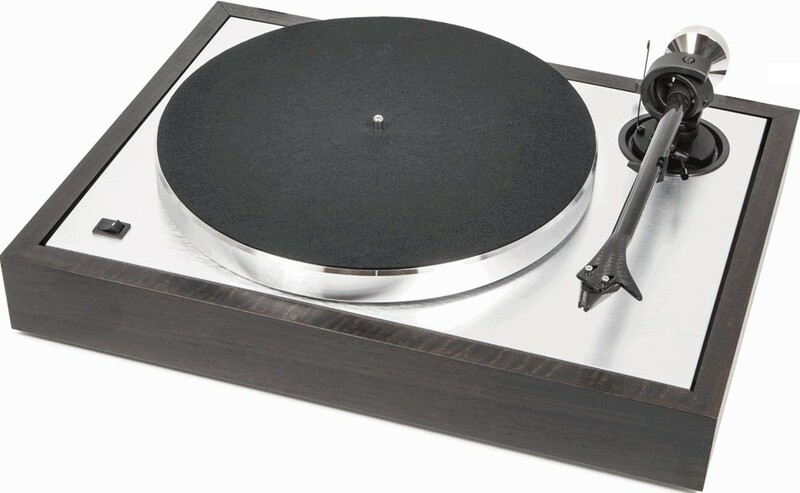 The influence of the Debut turntable is also present in the sub-platter and bearing design, however The Classic demonstrates much higher tolerances which results in a superior sound quality. The Classic exhibits a significant update in the tonearm design, which has been influenced by the production processes developed for Pro-Ject's award-winning RPM 3 Carbon turntable. The tonearm is constructed from a composite sandwich using carbon and aluminium, which means that the tone arm tube is exceptionally rigid, fast and lightweight. A further improvement is that the use of aluminium results in much better damping characteristics. A new bearing assembly supports the tube which offers super-low friction and a wider, improved tracking performance, than its predecessors. The counterweight is nickel-plated which means it is acoustically neutral whilst looking great. The tonearm is specifically designed to suit any modern pick-up cartridge, since you can adjust both the azimuth and vertical tracking angle (VTA). 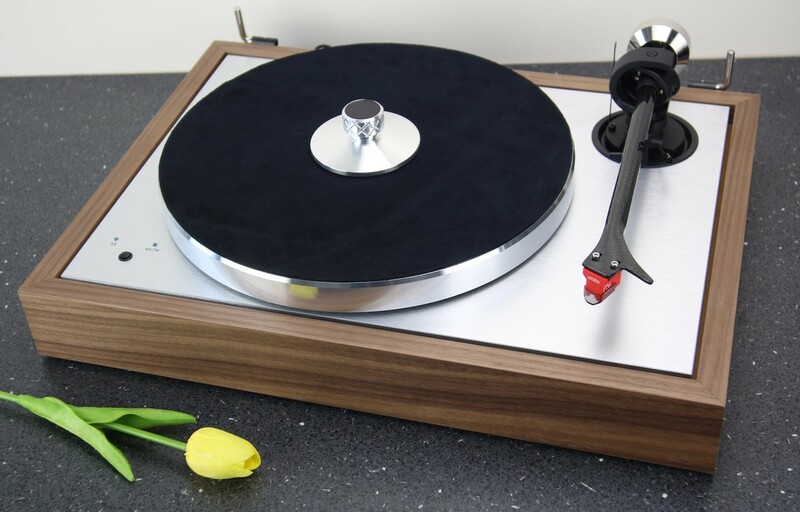 The Classic Superpack is supplied with the Ortofon Quintet Red moving coil cartridge, a fitted dust cover, speed controller, Connect-IT E RCA cables, Pro-Ject's Clamp It and Leather It turntable mat.